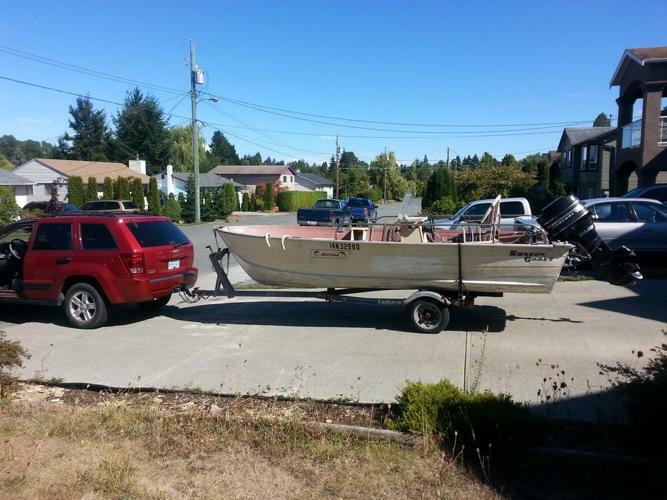 17 foot Alaskah Smoker Craft with 50 HP Mercury outboard. Comes with a Calkins trailer with electrical hookup. Mercury outboard was completely rebuilt 2 years ago and has less then 50 hours on the rebuilt motor. Comes with 2- 5 gal gas tanks. Will consider trade on a larger 20-24 foot boat with a cabin. Please cal Fred at 250-713-.